Being a journalist and writer, you become adept at one-handed eating. For as much time as I spend running around chasing stories, I spend twice as much time sitting on my rear and writing. Occasionally, I eat while typing. Sometimes I eat while driving between stories. Whatever the combination, a breakfast sandwich is a good option because it is relatively tidy. Either it is small enough to squish and flatten so it holds its shape, or it comes wrapped in foil that can be rolled down to contain liquified sausage fat, runny cheese, or the addition of hot sauce. It is cheap and filling and perfect for a writer's budget. 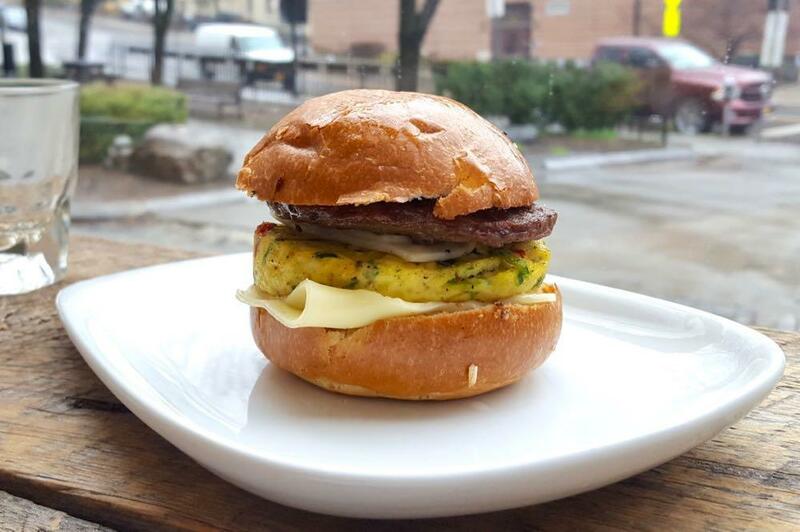 The breakfast sandwich at Stacks Espresso Bar -- I tried it at the Broadway location in downtown Albany -- is a delightful nibble, slightly larger than a slider but wholly filling. A great option for a quick snack between. It's fully worth the five bones. A slightly toasted brioche bun is a pillowy base for the a fennel-heavy sausage slab and slices of gouda. 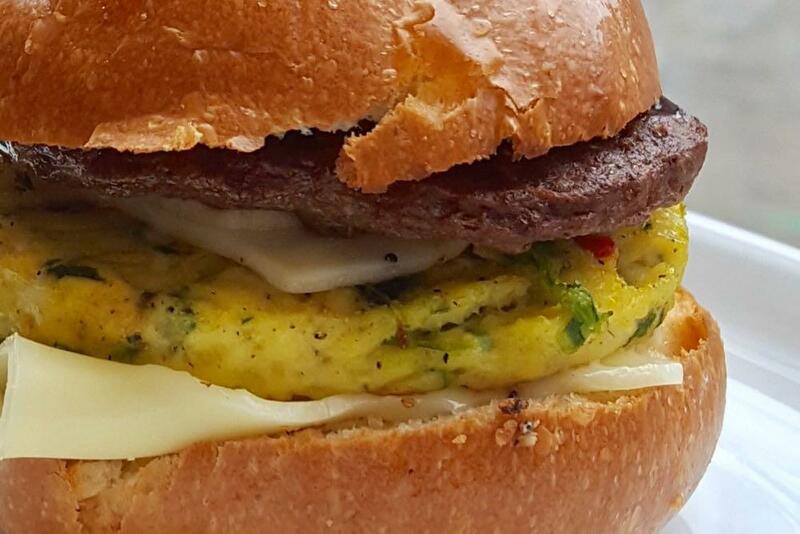 The egg flavor of the bun is a nice addition to the egg layer. That last layer is ingenious in its preparation and makes it unique among other versions. The egg is mixed together with diced peppers and spinach in a mason jar, then slowly cooked sous vide overnight for a tender, thick orb of custard. The eggs are unmolded from the jar and then sliced into perfect rounds. A drizzle of balsamic glaze on the upper half of the bun finishes the sandwich, making for a sweet-savory version of a time-honored classic. The Stacks sammie isn't to be compared to the local culinary cornerstone that is Stewart's breakfast sandwich, but it is not designed to. Like Stacks' coffee, the sandwich adds grace and culture to utility. It might not be your daily go-to, but it's certainly a spot-hitter. Stacks also has a location at 260 Lark Street. That looks amazing. LOL, I had no idea Stewarts sammies were revered. It is one of my guilty pleasures that I never admitted to anyone! Bountiful Bread makes a mean breakfast sammie on a croissant. Had one on Lark St. yesterday morning. Kinda small, but kinda delicious!